A powerful brightening oil infused with real rose petals and boosted with super C to increase skin's absorption of vitamin C.
This innovative brightening oil infused with real wild rose petals pays homage to the legendary wild rose oil ingredient that started it all. This ultra-concentrated vitamin C oil is rich in omega 3, 6, 9, fatty acids, and vitamins A and C. It provides significant antioxidant action while repairing the look of fine lines and wrinkles and improving skin's overall tone and texture. 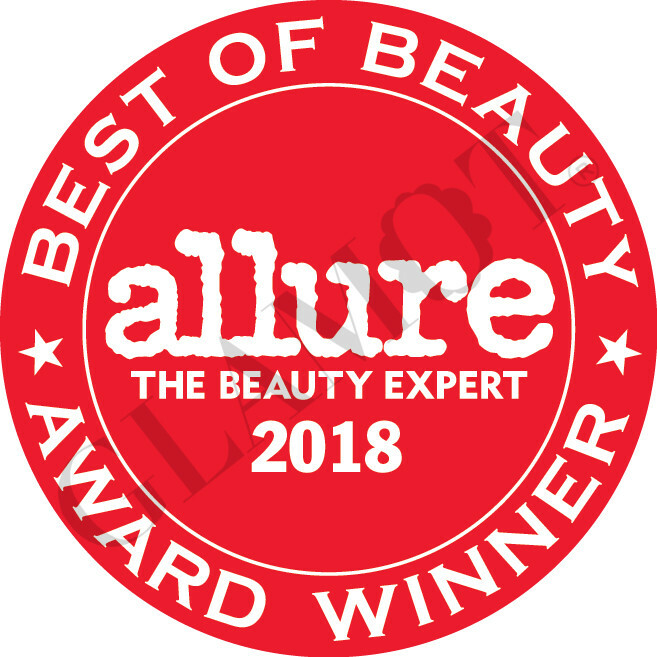 The formula is boosted with super C which increases skin's vitamin C absorption by 1,000 percent to support natural collagen synthesis, powerful skin brightening, tone repair, and antioxidant protection against free radical and UV damage. Camapu, a plant derived extract delivers anti-thermal aging activity and anti-inflammatory benefits while improving skin's luminosity. The silky oil easily absorbs into skin, delivering a fresh, dewy, enviable glow. 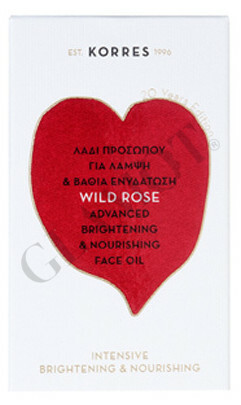 Wild rose oil is nature's most potent skin brightener with nine times more vitamin C than found in orange juice. This oil is 94.5 percent natural and suitable for all skin types. All KORRES formulations are made without petrolatum, mineral oil, silicones, propylene glycol, and ethanolamines. They are dermatologically tested and cruelty-free. Morning and evening after cleansing, apply a few drops to face and neck by gently pressing into skin. In the morning, apply Wild Rose Face & Eye Serum and follow by pressing Wild Rose Oil on top to seal in moisture and boost radiance. Or mix a few drops into Wild Rose 24 Hour Moisturizer for lasting hydration and a dewy glow. In the evening, layer under Wild Rose Sleeping Facial for added moisture, brightening, and antiaging benefits.